When I woke Friday morning to over a foot of snow on the ground, I was worried that I'd have to reschedule my client's engagement shoot... again! My clients had also started texting me, wondering what the plan was and if the shoot was still on. 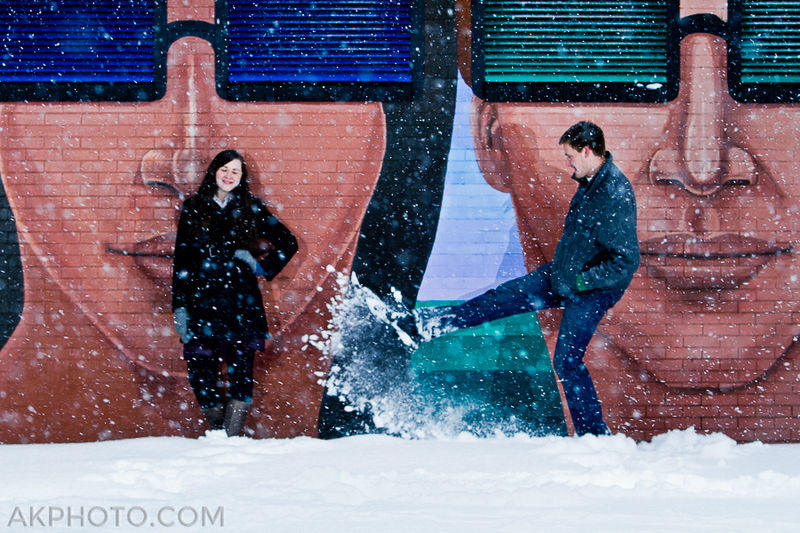 Realizing that this kind of epic snow storm creates a once in a lifetime photoshoot opportunity, I quickly texted my clients back and told them that we had to shoot - because if we didn't - I knew we would regret it later. So with some portable lights and an assistant in tow, we all headed out in to the snowy landscape of the Five Points and Curtis Park neighborhoods. It was a cold start and everyone was moving a little slow at the beginning, but we quickly worked into a rhythm. 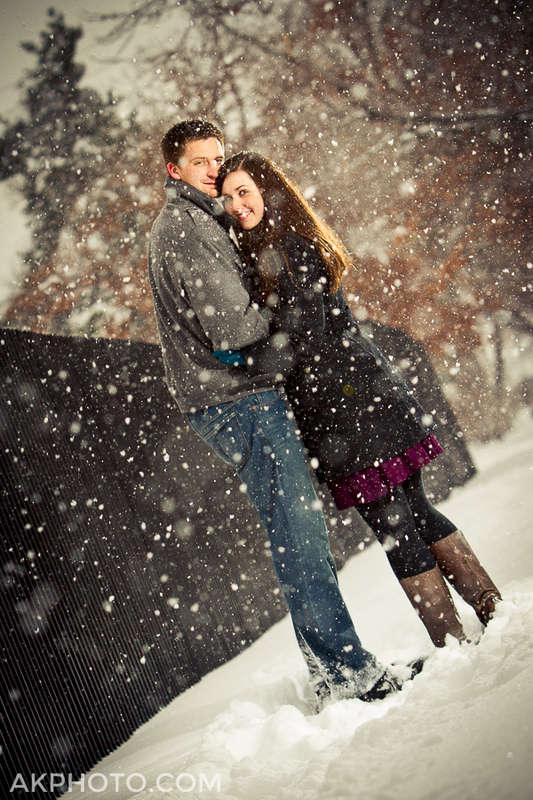 The heavy snowfall and blowing winds kept my couple clients close to stay warm, which only enhanced the intimate nature of the shoot. Their energy was incredibly infectious which kept us all moving through the blustering winter gale. Although the idea of setting up a photoshoot in the middle of a blizzard may be intimidating to some, I must say that pushing through the rough conditions (having adventurous clients also helped!) really paid off. Although everyone was cold and wet after 90-minutes plodding about in the snow, we were able to capture some truly unique moments that I'm sure my clients will cherish for a long time to come. So don't be afraid so seize the moment and shoot in the harsh weather mother nature throws your way - you just never know what kind of great photos you might get!